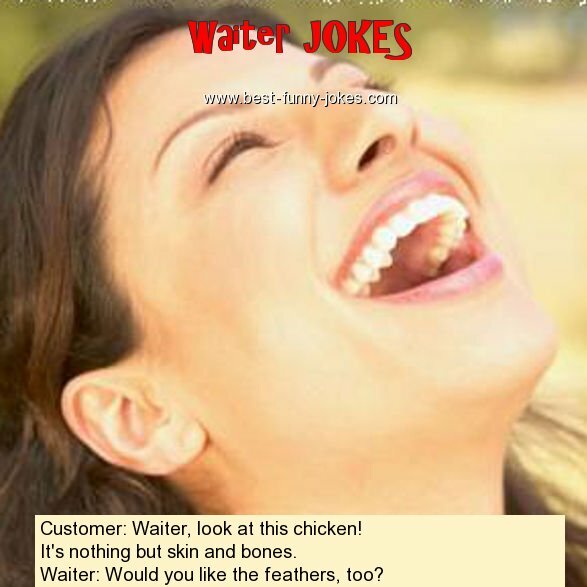 Customer: Waiter, look at this chicken! It's nothing but skin and bones. Waiter: Would you like the feathers, too?